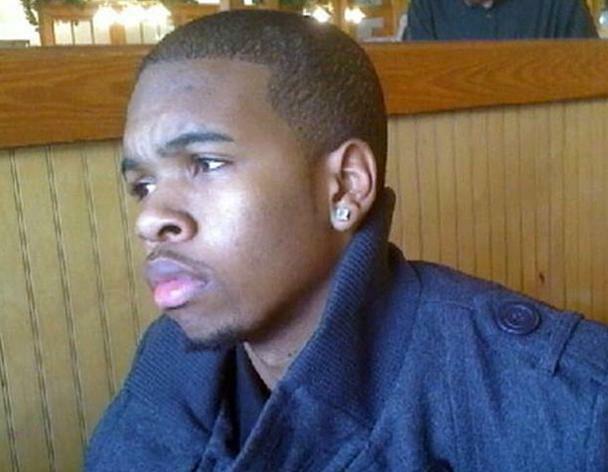 (AJC) -- A cousin fired the shot that killed a Jackson State University freshman from DeKalb County, police said Wednesday. Jarrod Emerson, 25, was charged with murder Wednesday in the death of 19-year-old Nolan Ryan Henderson, the Jackson Police Department said. Henderson, of Stone Mountain, died early Sunday following a party off campus at the Palisades Apartments, according to police. According to investigators, Henderson was involved in a fight at the complex's swimming pool with several players from the JSU football team and was assaulted. Henderson then left the fight and called Emerson, his cousin, who was nearby, police said. Then, both Emerson, who had a gun, and Henderson returned to the complex, not far from the university campus, to confront those responsible for the alleged assault, police said. At the complex, Emerson pulled out his gun and fired several shots, sending people scattering in different directions, police said. Henderson, however, dropped after being struck by a bullet. He reportedly was shot in the face and found on the ground in front of an apartment building near 1400 Valley St.
"Ballistics tests have been conducted by the Mississippi State Crime Lab on the projectile recovered from the victim as well as the weapon that Emerson fired," Jackson police said in a news release Wednesday. "Those tests revealed that the projectile recovered from the victim matched the weapon that Emerson was firing." Hundreds of people attended a candlelight vigil was held in Henderson's honor Tuesday night, The Clarion-Ledger reported. "Ryan meant the world to me. He was my best friend. Everything I do was for him," said Henderson's younger brother, Damien Henderson, 17, at the vigil. "I just don't understand, he was such a good person. Nobody knew me more than Ryan did." The slain Henderson was a health care administration major at JSU, and his family said he was a Dean's List scholar and an all-around athlete in school, the newspaper reported. The university released a statement following the arrest. "This is a sad ending to a tragic situation," Jackson State University President Carolyn W. Meyers said. "The Jackson State University family continues to mourn for Nolan and will offer all of the support we can to the Henderson family. We will also continue to provide our complete support to the Jackson Police Department until its case is brought to full closure."